Minimalist Muranow is a project designed by HOLA DESIGN. 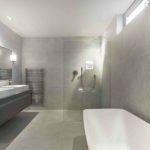 This entry was posted in apartments, bathroom, bedroom, kitchen, living and tagged apartment, bathroom, bedroom, HOLA DESIGN, house idea, houseidea, kitchen, living, Minimalist Muranow, myhouseidea on December 31, 2016 by admin. This entry was posted in house, outdoor, pool and tagged house, house idea, houseidea, MESURA, outdoor, Peratallada Castle, pool on December 30, 2016 by admin. Aprtament Gdańsk is a project designed by Ideograf in 2016, covers an area of 80 m2 and is located in Gdańsk, Poland. 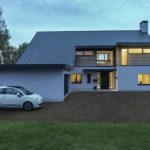 This entry was posted in apartments, bathroom, bedroom, kitchen, living and tagged apartment, Aprtament Gdańsk, bathroom, bedroom, house idea, houseidea, Ideograf, kitchen, living, myhouseidea on December 28, 2016 by admin. 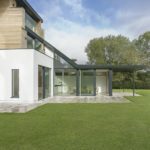 OB Architecture were invited to extend, remodel and entirely refurbish a turn of the century Victorian villa in Surrey for a young couple and their two girls. This entry was posted in bathroom, bedroom, house, kitchen, living and tagged bathroom, bedroom, house, house idea, houseidea, kitchen, living, myhouseidea, OB Architecture, Pine House on December 27, 2016 by admin. Men’s haven is a project designed by HOLA DESIGN. The premise of the project was to create a modern interior design that is not cold, of distinct male character, but at the same time comfortable and cosy All elements of the interior combined to give an elegant and coherent whole. This entry was posted in apartments, bathroom, bedroom, kitchen, living and tagged apartment, bathroom, bedroom, HOLA DESIGN, house idea, houseidea, kitchen, living, Men's haven on December 26, 2016 by admin. This entry was posted in apartments, bathroom, bedroom, kitchen, living and tagged apartment, bathroom, bedroom, Gorki, house idea, houseidea, kitchen, living, myhouseidea, Ruetemple on December 24, 2016 by admin. Bois Colombes is a roof extension designed by Camille Hermand Architecture in 2016 and covers an area of 200 m². This entry was posted in apartments, bathroom, bedroom, kitchen, living and tagged apartment, bathroom, bedroom, Bois Colombes, Camille Hermand Architecture, house idea, houseidea, kitchen, living, myhouseidea on December 23, 2016 by admin. Meadowcroft is a project designed by OB Architecture. The brief required a large contemporary family house that would take advantage of the lovely views over the fields and the Solent beyond. This entry was posted in bathroom, bedroom, house, kitchen, living, outdoor and tagged bathroom, bedroom, house, house idea, houseidea, kitchen, living, Meadowcroft, myhouseidea, OB Architecture, outdoor, villa on December 22, 2016 by admin.